A Tallahassee prosecutor has charged nine men in the death of a 20-year-old Florida State University fraternity pledge who died after a night of heavy drinking at an off-campus party, according to police. The men have not yet been arrested, said Tallahassee police spokesman Officer Damon Miller Jr. It is his understanding that all nine were affiliated with the Pi Kappa Phi fraternity that hosted the function, he said. 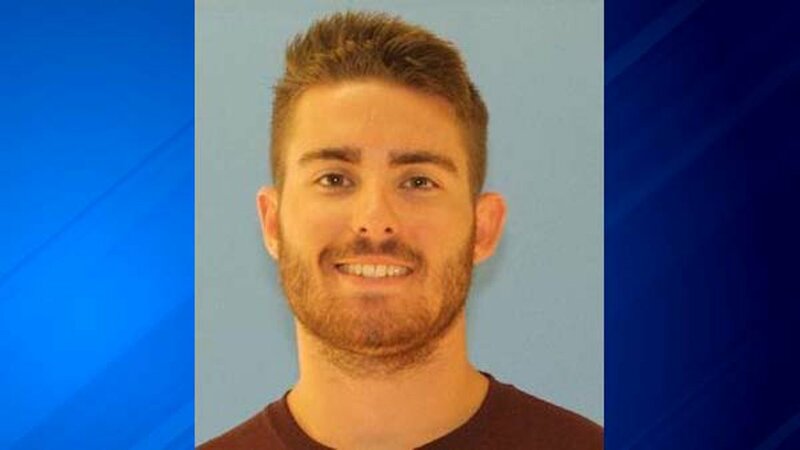 Police said only that investigators were able to develop probable cause against the men in connection to Andrew Coffey's death. "Investigators intensely employed hours of investigative research, combed through several pieces of physical evidence, and conducted dozens of interviews with the assistance of the Florida State University Police Department," a police statement said. "This collaborative investigation was critical to finding answers for Andrew Coffey's family and our community. Hopefully, this investigation and its outcome will prevent another tragedy from occurring," Tallahassee Police Chief Michael DeLeo said in a statement. A call to the office of the state attorney for Florida's 2nd Judicial Circuit -- aimed at determining whether the men had retained legal representation and when they are expected to turn themselves in -- was not immediately returned early Wednesday. Attorney Don Pumphrey, who is representing Kluttz, told CNN his client is expected to turn himself in Wednesday morning. "The Kluttz family's hearts go out to the Coffey family. It's a tragedy," Pumphrey said. Coffey, a junior who transferred to FSU to study civil engineering, was discovered without a pulse the morning after a November party. Rather than call 911, the fellow Pi Kappa Phi pledge who found him texted five fraternity brothers, and no one called police for 11 minutes, according to a grand jury presentment last month. "The brothers, pledges, and (fraternity) officers were more concerned about getting in trouble than they were about trying to save Coffey's life," the grand jury said at the time, recommending prosecutors pursue charges related to hazing and underage alcohol abuse. Coffey died of acute alcohol poisoning, and at one point in the night had a blood-alcohol level of .558, six times the legal limit to drive, an autopsy and tests on his body fluids showed. Coffey was attending a November 2 off-campus fraternity function called "Big Brother Night," supposedly celebrating brothers becoming mentors to the pledges. Fraternity members, pledges and two strippers attended the party, according to the grand jury presentment. Pi Kappa Phi was under a liquor ban -- meaning it could serve only beer and wine -- but pledges were told the ban was lifted for the party and someone gave Coffey a bottle of high-proof bourbon, the presentment alleged. At least a dozen pledges vomited that night, and Coffey passed out and had to be carried to a couch, prosecutors alleged, saying that no one was "forced" to drink but it was clear pledges risked ostracism if they didn't. As Coffey lie unconscious on the couch, fraternity members kept drinking and playing pool around him, spurring Coffey's mother to say her son "died alone in a room full of people." The grand jury decried what it called the "overall glib attitude of Andrew Coffey's so-called brothers towards this very serious matter," as well as the fraternity's "culture of secrecy." Of the 88 people investigators sought to interview, 48 of them -- including seven of the nine members of the fraternity's leadership council -- refused to speak with police, while others appeared to be "speaking off a script," the presentment claimed. "They presented many of the same answers as each other and volunteered much self-serving information without being asked," it said. The national organization of Pi Kappa Phi released a statement saying it was "saddened by the details in the grand jury presentment" and asserted that it had directed members of its FSU chapter to "cooperate with all investigative efforts." School President John Thrasher indefinitely suspended Greek life after Coffey's death. "I want to send a message that we've got a serious problem and we need to deal with it, and they're part of the solution," Thrasher said. "And the sooner they can come to the table and we can all talk and find those solutions, the sooner this will be lifted." Coffey had planned to enlist in the Navy after graduation, according to his mother. He wanted "to go out and see the world," she said.